Boyds, Md. (Jan. 5, 2019) – Since the NWSL’s inception, the Washington Spirit has consistently added key pieces to its roster through the College Draft, ushering in some of the league’s premier blue chip prospects, as well as mid and late-round picks that quickly blossomed into strong professional players. With players from the past several drafts remaining in place as some of the key building blocks on Washington’s roster, the club enters the 2019 NWSL College Draft, coming up Jan. 10 at the United Soccer Coaches Convention in Chicago, with another opportunity to continue its successful draft history. In 2018, Washington selected midfielder Andi Sullivan with the No. 1 overall pick, and the Hermann Trophy winner out of Stanford went on to finish 2nd in the race for NWSL Rookie of the Year. The Spirit’s second and third selections, Rebecca Quinn (Duke) and Mallory Eubanks (Mississippi State), also played valuable minutes for the Spirit as two-way contributors in 2018. 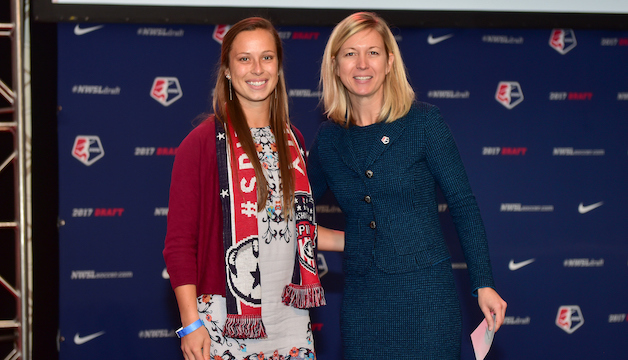 One year earlier, the Spirit made one of 2017’s best value picks, selecting Meggie Dougherty Howard with the 29th overall pick. The former Florida Gator appeared in 23-of-24 games in her first professional season, contributing one goal and one assist while playing an active defensive role in the midfield. The 2016 College Draft saw the Spirit select Cheyna Matthews in the 1st round, and the NCAA champion forward from Florida State went on to score eight goals in her first two seasons. Defender Caprice Dydasco, a 2015 draft pick from UCLA, is coming off one of her best seasons to date in 2018. The fourth-year pro was the only Spirit player to appear in all 24 games last season, finishing among the NWSL’s top 10 league leaders in several major categories, including total touches, interceptions, tackles won and total passes. One of Dydasco’s longtime partners on the Spirit back line, Whitney Church, was also drafted by the Spirit in 2015 with the 30th overall selection out of Penn State University. Church played in 22-of-24 games in 2018, finishing second on the team with 103 defensive clearances. Follow @WashSpirit on Twitter for live updates from the NWSL College Draft, and tune in to the Live Stream on NWSLSoccer.com.